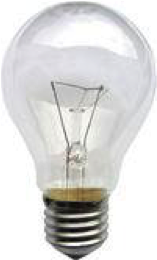 The standard incandescent is the most common light bulb. This is the pear-shaped bulb you have seen more than any other. The label should have a wattage listed, most commonly in the 60-100 W range. Applicants to the Green Business Program must replace incandescent bulbs with LEDs. 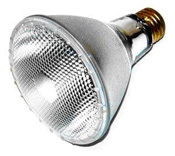 Common halogen bulbs are large flood lamps with a screw-in base, or bi-pin bulbs that go into track or recessed light fixtures. Replace the screw-in bulbs and pin-based bulbs with the LED version of the same lamp type. Remove any non-spotlighting halogen fixtures with ones that will accept LEDs. Be sure to get dimmables bulbs if the fixture uses a dimmer. 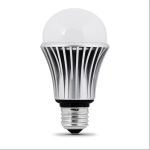 If your business has CFLs in place, they do not need to be immediately replaced by LED bulbs. 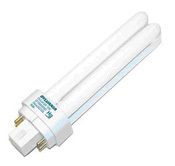 There are three common types of compact fluorescent bulbs. The first (3.1) is the two-pin based lamp. The second (3.2) common type is the spiral cone, which is often hidden in the other behind frosted glass. 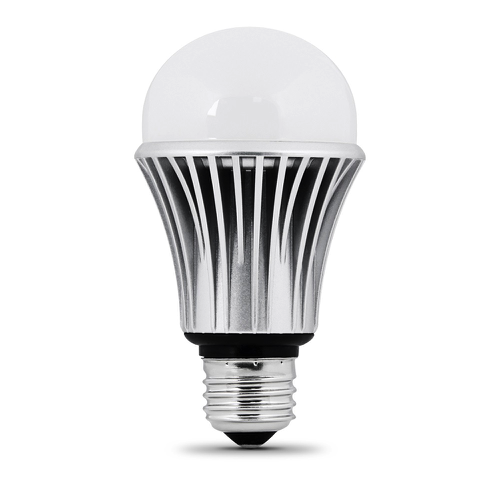 The third (3.3) looks quite similar to the standard incandescent, with the exception of a larger base that holds the ballast of the compact fluorescent. These are commonly used in industrial applications, and are very common in the recessed reflective cans seen in many offices. When choosing a compact fluorescent, be skeptical of the lamps that aren’t Energy Star certified. Be sure to get bulbs that have a high color rendering index (CRI), which is on a scale of 1-100. CRI measures how well the light source is able to reveal the colors of various objects faithfully in comparison with a natural light source. Also look for the color temperature on the label. A ‘warm white’ lamp would be closest to the color of an incandescent, at about 2700 K. If you’d like brighter, whiter light closer to daylight, look for color temperatures in the 4000K to 5000K range (the higher the color temperature, the whiter the light). Note that compact fluorescents are also made in PAR and R type shapes to replace halogens, however these generally provide a flood light effect rather than the spotlighting effect of a halogen bulb. To get the spotlighting effect, LEDs should be used. These are the most common fluorescents in commercial applications. 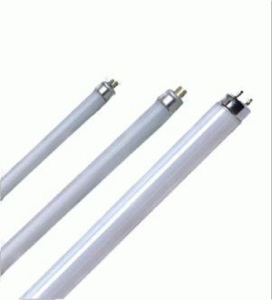 The long thin tubes that we see in warehouses, offices, and businesses everywhere are very efficient, but there are a few types: the T-12 ,the T-8, and the T-5 lamp. The T-12 has a diameter of 1.5 inches, the T-8 is 1 inch, and the T-5 is 5/8 inch in diameter. The older T-12 lamps are less efficient and require magnetic ballasts, while T-8s and T-5s are more efficient and use more efficient electronic ballasts. In addition, electronic ballasts operate at a much higher frequency, minimizing the flicker of the lamps, which reduces eye fatigue and headaches that can be experienced by some people. 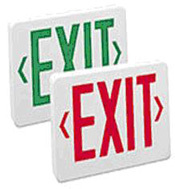 The Green Business Program suggests that LED exit signs be used in businesses seeking certification. It is sometimes difficult to tell which kind you have without opening the sign. 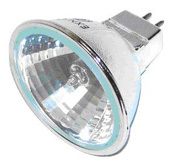 Look for a strip of tiny red or green lights to indicate that you have an LED sign, one or two two-pin bulbs that indicate you have an incandescent sign, or two bulbs that look like compact fluorescents to indicate a CFL sign (fig 5.1). 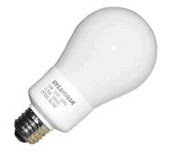 The incandescent bulbs are usually 15-25 W each, and are labeled as such. For spaces with variable occupancy, like restrooms, conference rooms, storage rooms, hotel bathrooms, and lockers, consider using occupancy sensors. When doing a survey of your facility’s energy use, look for places where lights are on and no one is home. If these are spaces that are empty for long periods and have short bursts of use, they could be a good fit for an occupancy sensor. There are many options for the sensors: most used in commercial settings have a sensor integrated into the switch. In guest bathrooms, you might use a sensor with an integrated LED nightlight, so that guests don’t have to leave the light on in order to find their way to the restroom at night. 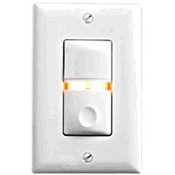 For spaces with one owner (like a private office) it is simpler and cheaper to educate the users to turn off lights themselves.